Let's not hear it for the back seat driver. 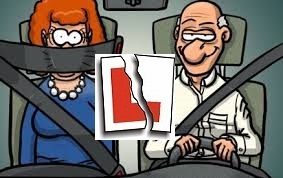 After a few years giving refresher lessons to more mature drivers I have noticed a common thread. When I ask the driver what they see as their weaknesses I usually get a very definite things that the driver feels need to be addressed. Upon further questioning it turns out that these problems are in fact opinions given by the driver's partner, positioned in the passenger seat offering unsolicited help and advice. Often from the standpoint of someone who has never driven. One gentleman believed his observations and judgement of a safe gap when emerging from junctions left a lot to be desired. After 90 minutes of driving and a few pointers I felt that these skills were more than adequate and I couldn't really see a problem. The gentleman then told me about his short wife who has the passenger seat fully raised and as far to the front as it will go. From this position the nearside front window is completely blocked by the passenger who then proceeds to tell the driver whether to go or not. This is so very dangerous and totally unacceptable. I informed the driver that he has to be able to see all around the vehicle and make his own decisions on when to emerge. The time delay from when he is told to go to when the car actually moves could prove well hazardous. Also he is relying on the judgement of a person who has never driven a car. Not an ideal situation at all. I recently gave a refresher driving lesson to a lady who believed she was too hesitant at junctions and when meeting traffic coming in the other direction. Also she drove at well under the speed limit on faster roads and dual carriageways. When asked why she thought this she replied that it was her husband's verdict. As he was now visually impaired and had to give up driving, the lady I was teaching had to do it for him. After a good drive around Nottingham there were some issues with mirror use and early observations but absolutely no issues regarding hesitancy. I assured the lady that she should drive within her own limits and not bow down to the opinion of her passenger. She seemed relieved to hear this and I'm sure she will be fine on the road. Passenger pressure is always considered an issue which only rally effects younger drivers but this is obviously not the case. People of any age and driving experience can succumb to pressure from friends or family in the car and feel they have to overstep their limits in order to satisfy another. It can be very difficult to ignore criticism and the driver may start to feel belittled and incompetent. The stress caused by this can have a detrimental effect on the quality and safety of the drive. A passenger who is late for an appointment or in a bad mood can put pressure on a driver which they wouldn't normally if they were in a relaxed mood. I say to all drivers out there that you alone are responsible for your driving. Do as you judge fit when behind the wheel and don't let others influence you when it comes to safety. I don't just teach driving test routes. I remember once getting an unsolicited lecture from a driving test examiner about following driving test routes on lessons. He had taken my candidate out on test and they had followed another driving school car who had followed the test route exactly. He seemed very annoyed that this had provided endless prompts for my pupil who simply had to copy what the car in front did. He said my pupil may have passed anyway but I could see his point. I wondered why it was me who received the talking to and not the guilty instructor, but there you go. I have never taught test routes in their entirety. I just don't believe in it but I can tell that there are still some driving instructors who do. We all get pupils who have been with other instructors and have changed because they are dissatisfied with the teaching they are receiving. Some have complained to me that they follow more or less the same route week after week with no variation and have simply got bored. Could the route have been a test route? Another giveaway is when on the approach to a roundabout I ask if they have covered roundabouts. Sometimes they will reply "Yes I have done some, but not this one." When I ask if they have had properly structured lessons covering each major topic individually they reply in the negative. They have never been given a briefing, shown a diagram or even had the topic introduced properly. They just drove the same route each week and received tips only on how to deal with the problems on that route. This is driving instruction at it's absolute worst in my opinion. I take my pupils all over Nottingham. I only do 90 minute lessons which allows time to get out there and cover topics which may not even crop up on the test but will be needed for safe and happy future driving. I will make sure they are familiar with any complex junctions in the test area but that is a world away from teaching a certain route. Perhaps some instructors worry about their pass rate and see following routes as a way to ensure that most pupils pass first time. The problem is that it probably is. If a learner driver knows exactly where they are going and what to look out for they will feel a lot more confident on the day. Publishing individual instructor's pass rates may lead to more of this sort of thing but what happens after the driving test? We have a lot of new drivers with a full driving licence who are simply not prepared for the road. 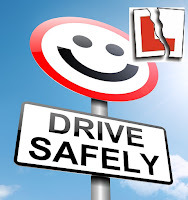 Many drivers who have held a licence for some years will only drive to places they know in good weather conditions. They have a fear of driving to unknown places and don't trust themselves on busy roads. All the advantages of driving are denied to them. I bet they only practised on test routes before they passed. Nottingham is a good place to learn to drive. Everything from city driving to country roads are readily available so there are no excuses for not preparing young drivers properly. In the long run a first time pass is not necessarily a good thing. I have had many pupils say they are glad they passed on the second attempt and had the extra lessons because they feel more prepared for the road. As they will be driving for the next 50 years or so it is wise to set some good driving foundations. Financial and parental pressure could be forcing young drivers to take the test earlier than they would like. I like to think that the people I have taught are capable of safe driving for life and they will remain safe and competent drivers. That's why we do what we do.